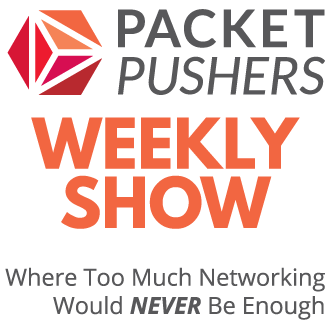 Lots of discussion lately about how SDN will change the future of networking and questions in my inbox from people who are early in their careers. They are facing decisions from the choices that are open to them that will impact their careers for the next few years and certifications are the best choice, will SDN make my current experience obsolete and so on. Network expertise has a lifetime of about five years. In 1999 I was learning about AppleTalk and Novell IPX protocols. Around 2003 is was MPLS (Tag Switching). In 2005 when Data Centres really got serious, it was Spanning Tree. Then Firewalls & Proxy Servers were all the rage from 2007-2009. I think there are two lessons from this. One. Plan to keep learning as the industry changes. This means that ANY CHOICE you make will be obsolete in five years, get over it and start learning something. Two. Make sure you learn anything you can because that is what matters today. Tomorrow hasn’t happened yet. You will need to invest personal time and energy to maintain your career. This is because IT Infrastructure will always change. There are periods when change is slower and times like now as I write this or the late 1990’s, or the mid-2000’s when change happens rapidly. Two things. First. Change happens but be relaxed about it. Your working life is a marathon not a sprint. Don’t get overly concerned about all the psycho-babble about goal setting, target your dreams etc etc. That just ruins your life with excessive worry and stress. Instead, just work progressively, slowly, deliberately to move ahead. Second. When the industry is moving slower, take a break. Or catch up. Maybe the industry changed while something happened in your personal life. Don’t panic but don’t wait forever. Grumpy Old Network Engineers always seems to know everything, its uncanny how quickly they can build a decoder ring for new network technologies and start using them. There is no secret here. It’s about understanding the fundamental science of the technologies that relate to your expertise. For example, my knowledge of addressing schemes in IPX lead to understanding of the IPv6 because there are a number of similarities. My previous experience with DLSW has been useful in understanding LISP & Overlay Networking. If you take tale the time to look for fundamentals, identify & understand those items then you will find the long-term burden of learning much easier. Summary, learning gets easier over time because it repeats even as the mind slows down. 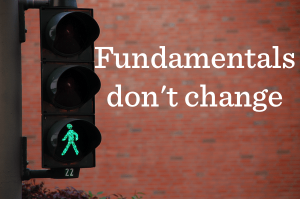 Even though change is a certainty (as with death & taxes) and actual change in the fundamentals of technology is very rare. Most “innovations” are not new1 but more simply the re-application of old ideas to new problems . The saying “there is nothing new under the sun” has a lot of truth in technology. 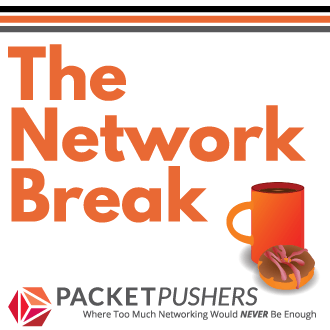 Software Defined Networking doesn’t change fundamentals – Ethernet is still Ethernet, packets are still packets. 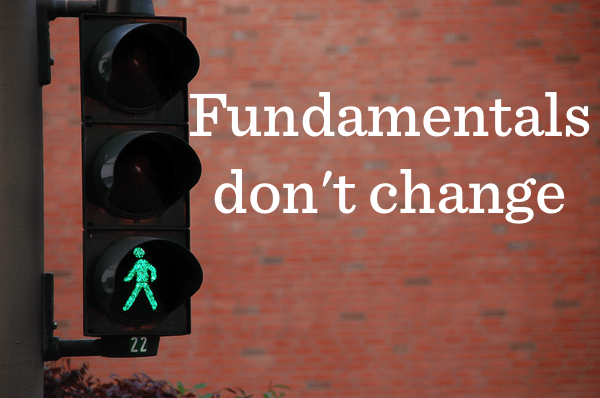 Fundamentals are the thing to look for in any technology.